ASTHA VERMICOMPOST ORGANIC MANURE - Lila Agrotech ASTHA VERMICOMPOST ORGANIC MANURE – Lila Agrotech Pvt. Ltd.
Astha Vermicompost is rich in plant nutrients, minerals and growth enhancers, and significantly increases microbial life in the root zone. It is stimulate plant growth more than any other natural product, enhance the ability of soil to retain water, and also inhibit root diseases such as root rot. The humus in worm castings removes toxins and harmful fungi and bacteria from the soil, therefore have the ability to fight off plant diseases. Astha Vermicompost is widely used in organic farming to improve soil health leading to healthy and vigorous high value crops. Astha vermicompost can increase plants, prevent leaf born diseases, it is very helpful for germinating seeds grow with more success and vitality. 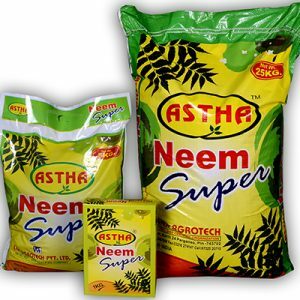 	Astha Vermicompost is a non-toxic, eco-friendly, balanced nutrient source for plants especially for organic farming. It contains all essential macro and micro-nutrients, beneficial microbes, humic-acid, microbial synthesized enzymes, vitamins, antibotics and growth hormones necessary for plant growth. 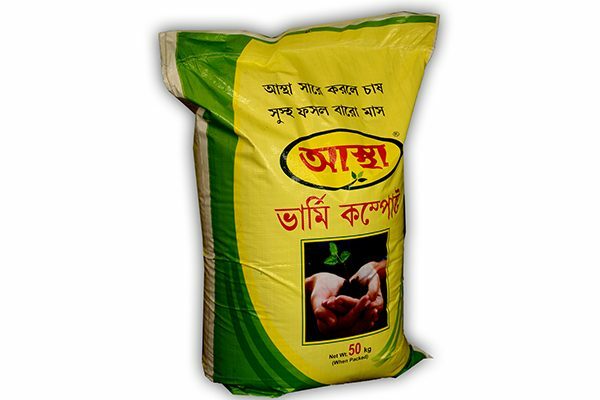 	It improves physical-chemical and biological properties of soil and maintains steady soil fertility. 	It is very easy to use on farms, fields or any of your gardens to grow all types of vegetables, herbs and horticultural crops. 	It is widely used for improving the overall growth of the plants and also developed the plant immunity system to fight against various microbial diseases. 	It also improves the nutrient quality of the plant products (fruits, flowers, vegetables, leaves etc.) and increases its storability. 1 Kg., 1 MT, 50 kg.